Off grid solar is the perfect solution for those needing a reliable power source in places where there is no existing access to grid power. 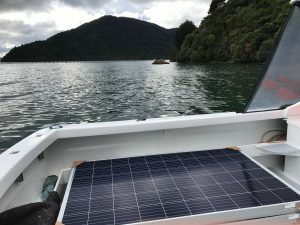 Off Grid solar is also great for those wanting freedom from traditional power retailers and the cost that comes with buying power. Off Grid solar solutions are a SkySolar specialty. Even if your property is only accessible by boat. We’ll specify and install the perfect system for you. 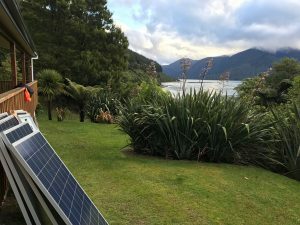 Download an off-grid information pack and learn more about powering your property in areas where grid power isn’t available, or wanted. 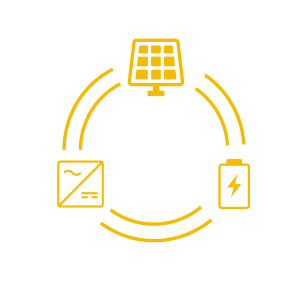 Most off-grid systems utilise batteries to store excess power generated during the day, for use at night, or in periods of poor weather. 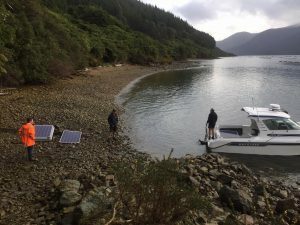 SkySolar offer a range of market leading batteries to suit your energy needs, which we will specify once we have gained an understanding of your unique energy requirements. 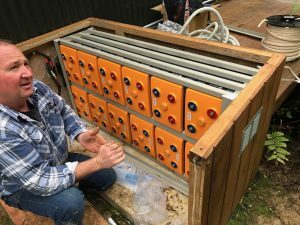 For example if your off-grid property runs any electricity-hungry appliances at night we can specify bigger battery capacity or a battery unit that works well in series with others, or in other words a modular battery set up. Our solution will also take into account the visual nature of the products. For example the panels can be placed prominently but batteries can be hidden. It’s completely up to you and the nature of your property.